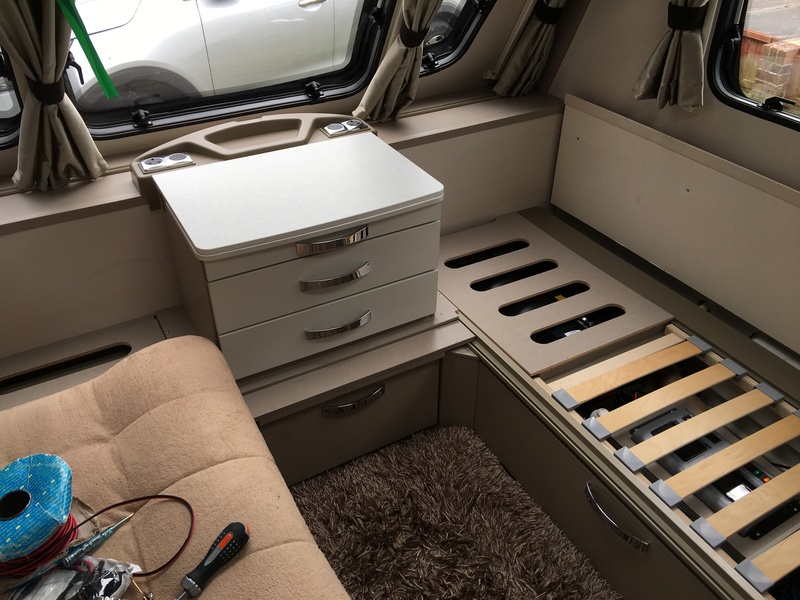 I decided to fit some USB charging points in our Sterling Eccles van, to reduce the amount of squabbling over the limited number of AC sockets in the van! Kay was away for the weekend, so I set to with a will and cleared away all of the cushions and seating to get good access to the electrical wiring. 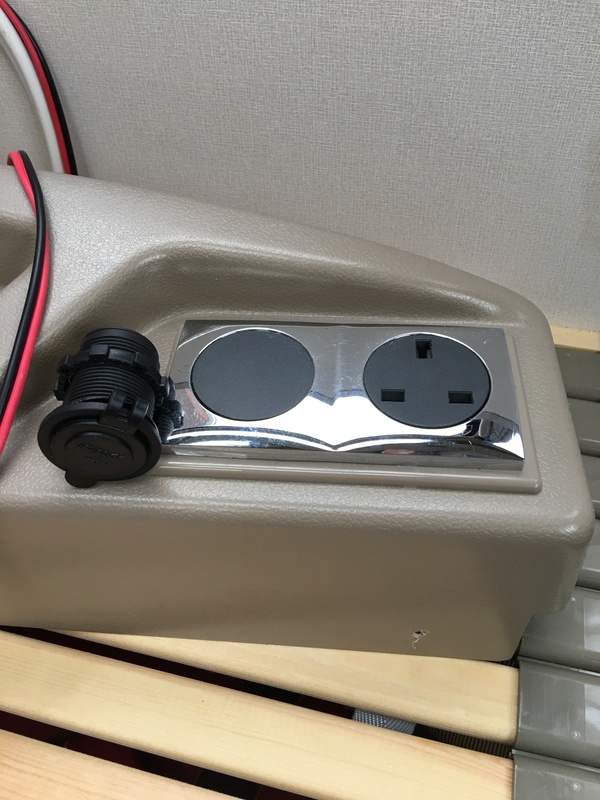 The front drawer unit on a lot of Swift caravans have a pair of AC sockets and also a pair of blank panels, which are an ideal location for a panel mount USB socket. 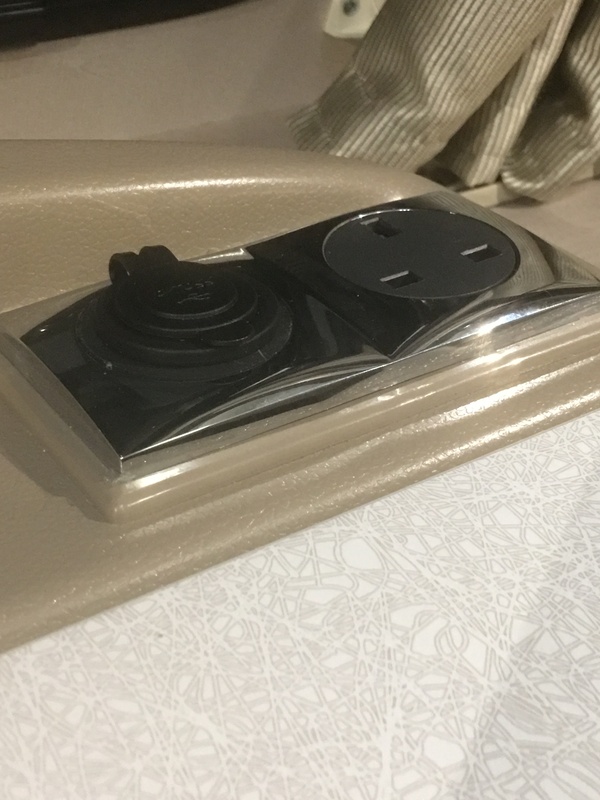 After a bit of research online I purchased two of these panel mount USB sockets from Amazon. 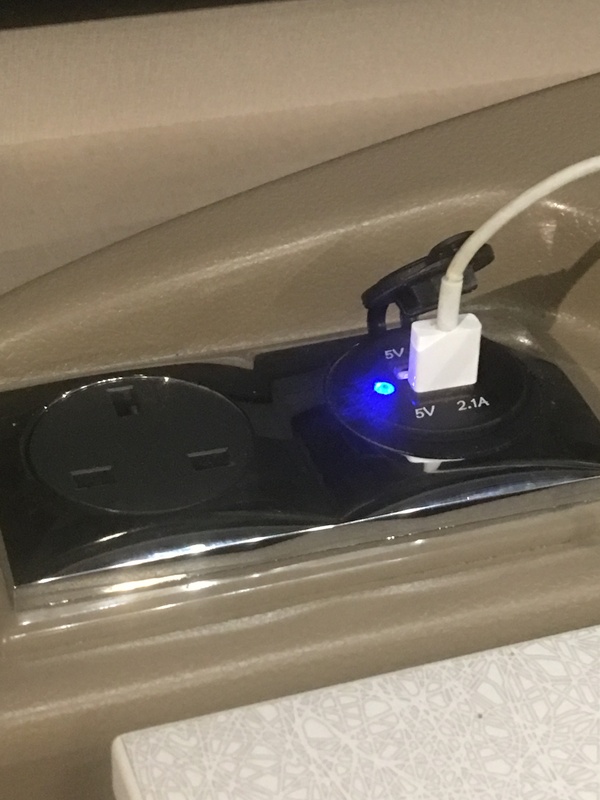 They are designed to connect directly to a 12V or 24V DC electrical system and come with two USB sockets; one that is a standard USB 2.0 (0.5A) type socket and one “fast charge” (2.1A) for charging tablets. 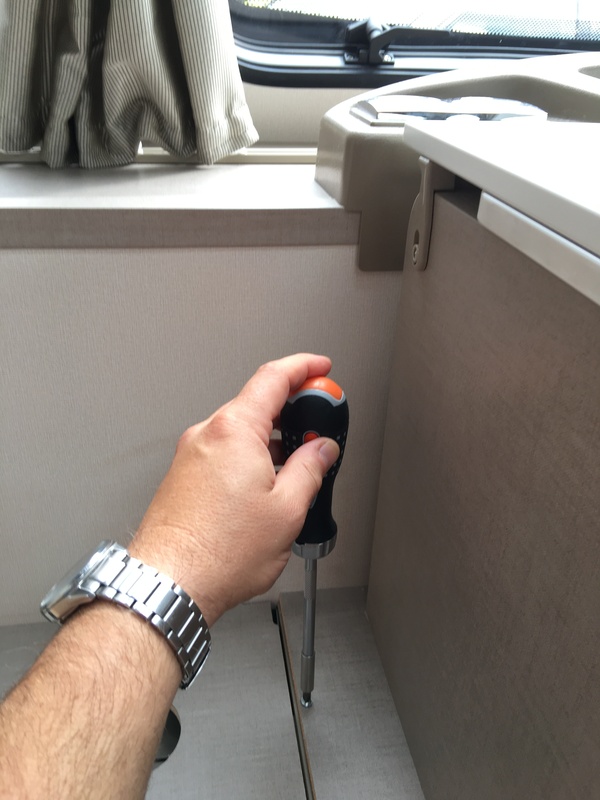 For the installation, you need to get access to the rear of the existing AC sockets and therefore it is very important to turn off the mains supply to the caravan. As it turns out, the rear of the sockets are pretty well isolated/protected but better to be safe than sorry. 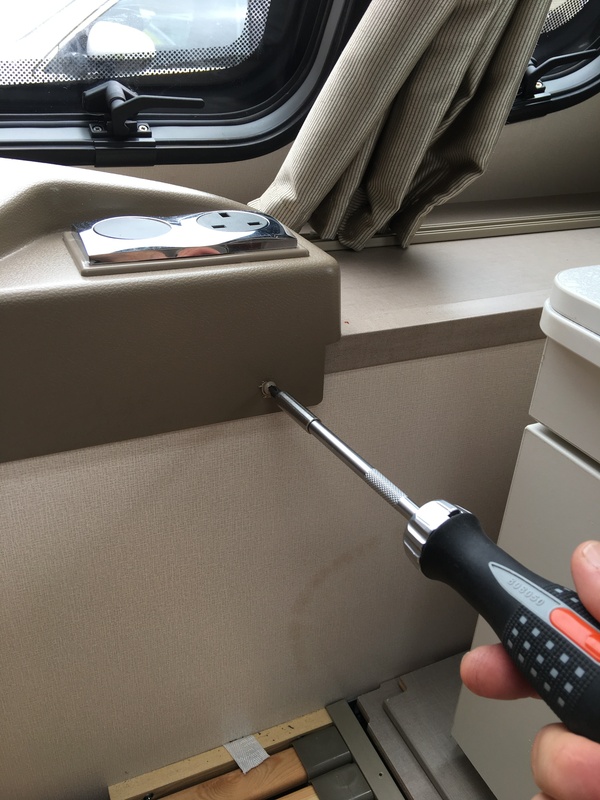 I would also strongly recommend temporarily disconnecting the leisure battery while you are doing any work on the caravan’s 12V DC wiring. First job is to remove the drawer unit, which is secured with a couple of screws and then carefully lift it out and put it somewhere safe, out of the way. Then you can unscrew the plastic moulding that the sockets are in which is also secured by a number of screws. Once all of the screws are removed, flip the moulding over and you can see the AC wiring. Now comes an important step; choosing where to take the DC supply from for the USB sockets. 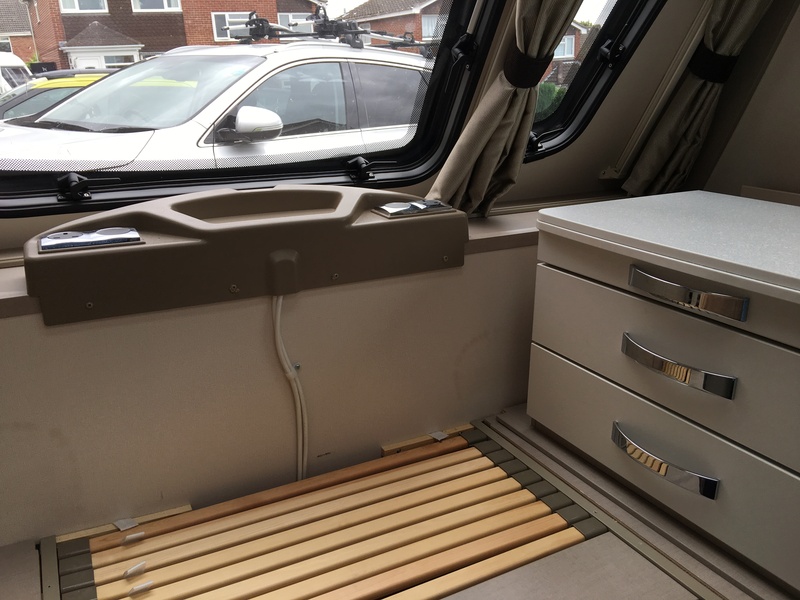 This will vary from van to van, but as all Swift vans have Sargent electrical systems, you should be able to get a wiring diagram for your Swift van from the Sargent website. 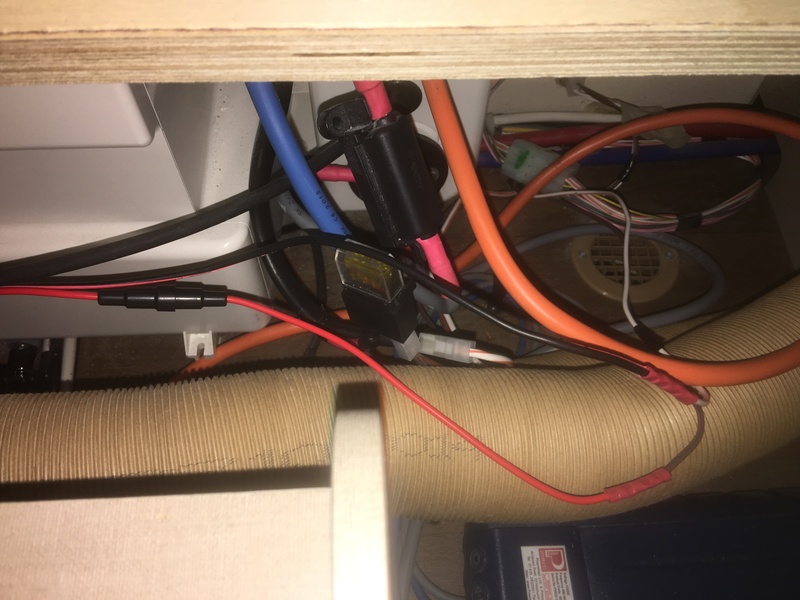 I had found a spare 2 way connector (see below) near the consumer unit and by studying the wiring diagram, worked out that this was for an optional second solar panel which was wired directly to the leisure battery through the main 20A fuse. The Pros/Cons of wiring directly to the battery are that the USB sockets are always powered (pro) but that the regulator circuits and LEDs in the sockets, could drain the battery if left unattended (con). We very rarely go to campsites with no mains hook-up, so I decided that this direct wiring was fine. Also I intended to fit an inline fuse, which could be removed to power off the USB sockets and conserve battery power. 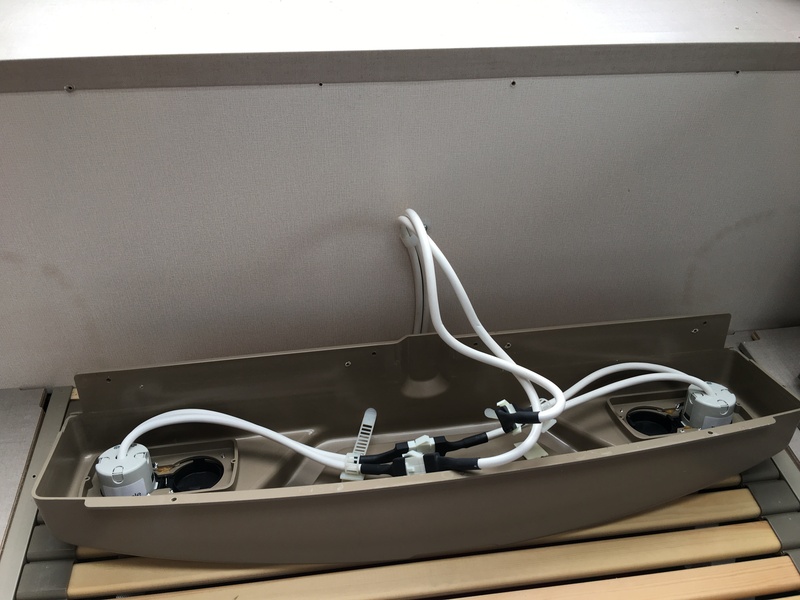 With a decision made as to where I would wire in the USB sockets, the next step was to feed a suitable length of 2 core power cable through the caravan, from the 2 Way connector I had found up to the sockets. Choosing the right gauge of cable was not too critical in this project, as we were only running the cable over a distance of about 3 meters and it would have to be a massive voltage drop to effect the 5v USB regulation, but you must always choose cable that can safely carry the maximum current that a circuit might take. In this case, the maximum current would be < 5 Amps, assuming two devices each charging at 2.1A. I used 0.5mm² wire (20AWG), that could safely take 5 Amps of current and also fitted a 5Amp inline fuse. Next I offered up one of the USB sockets, measuring the external diameter of the thread and making sure that it would fit in the panel, both in terms of hole size but also space behind the panel. 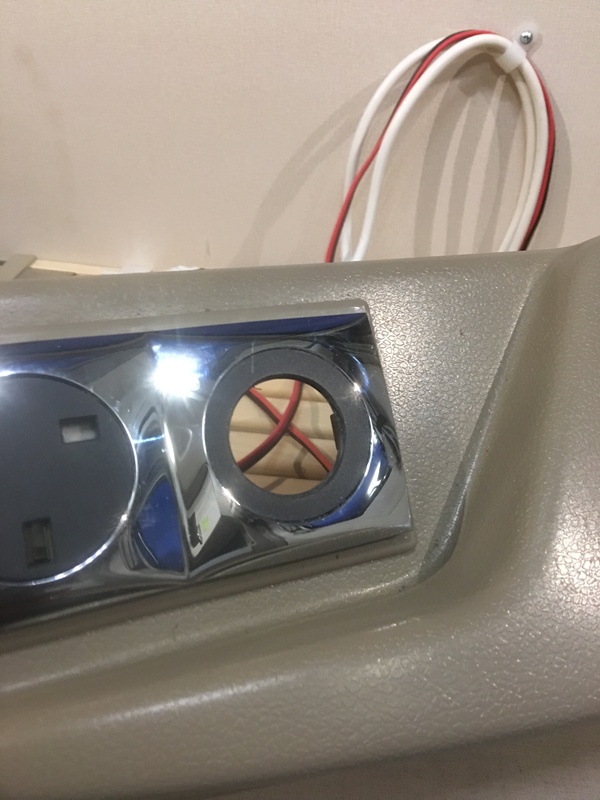 Everything looked OK, so I marked the center of the panel, drilled a pilot hole (3mm) and then used a Step Drill to gradually enlarge the hole until the socket would fit. Take your time, do not push down to hard on the drill, set a fast drill speed, make sure all of the AC cables are well away from where you are drilling and firmly clamp the enclosure. 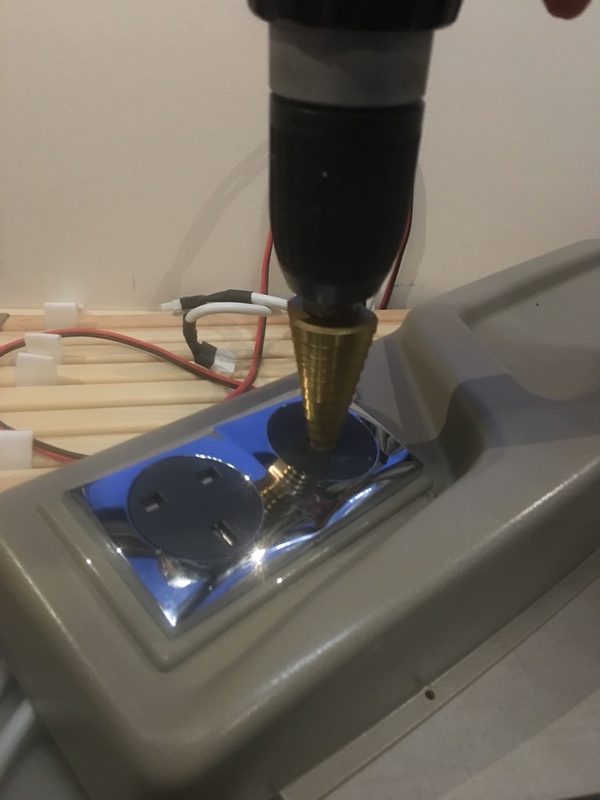 Once the hole is large enough for the socket to fit, clean off any burrs and fit the USB socket in place, securing with the supplied locking nut. Now you need to wire up the two USB sockets in parallel, fitting the supplied blue crimps (recommend a ratchet crimp tool) making sure you get the polarity right. I used a couple of “piggy back” blue crimps with extra tags on, that make it easier to do the parallel connections – see the right hand USB socket in the image below. 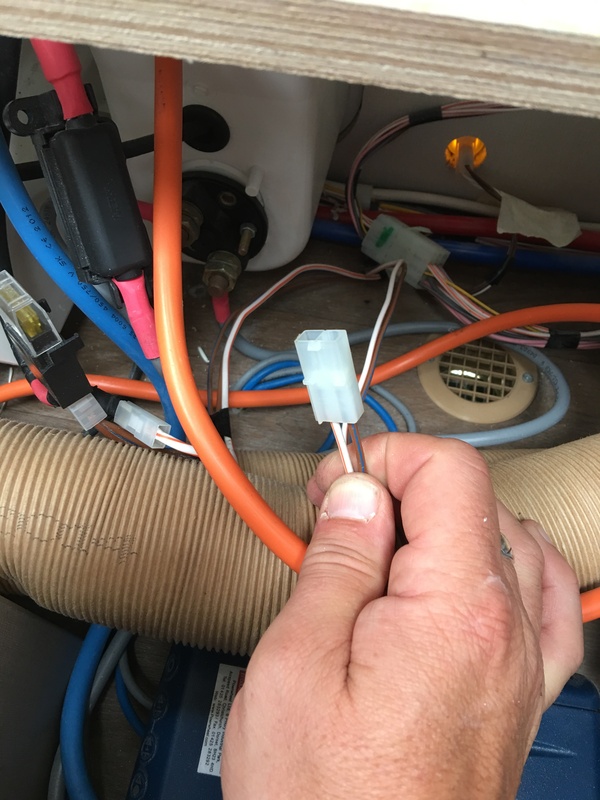 At the other end of the cable you need to wire the positive and negative wires to the location you selected earlier to take the supply from. The USB sockets both come with an inline fuse and you should fit one of these in the positive wire connection, you can use one fuse for both sockets (fit 5A fuse). 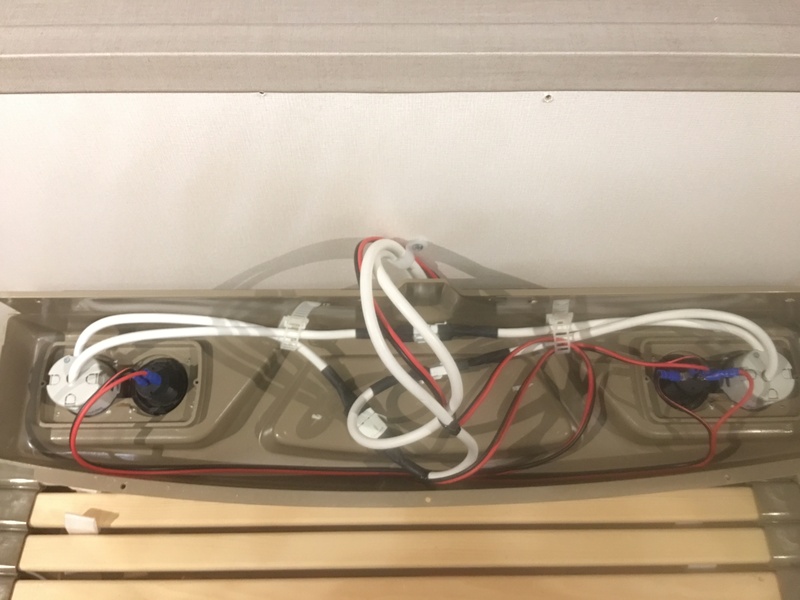 Once everything is wired up, reconnect the leisure battery, and you should see the blue LEDs of the USB sockets illuminate. Once you are happy that the new sockets are working, all that remains is to cable tie the new cable in place and put everything back together.